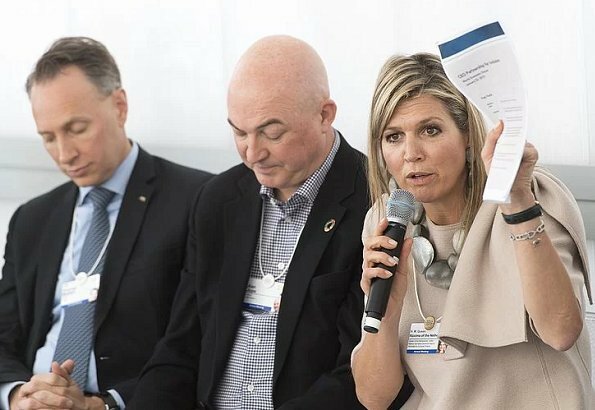 Queen Maxima came to Davos, Switzerland as the special finance representative of UN General Secretary in order to attend the World Economic Forum on January 22th, 2019. 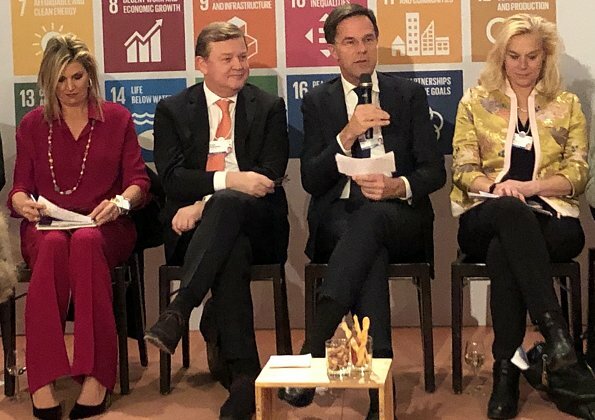 The Queen was accompanied by Prime Minister Mark Rutte. 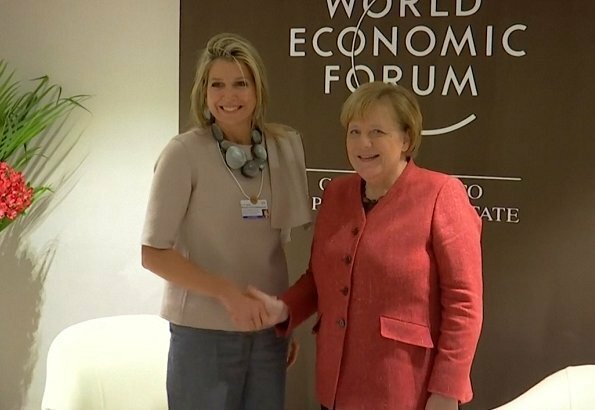 On January 23, Queen Maxima met The Duke of Cambridge and German Chancellor Angela Merkel during the World Economic Forum in Davos. 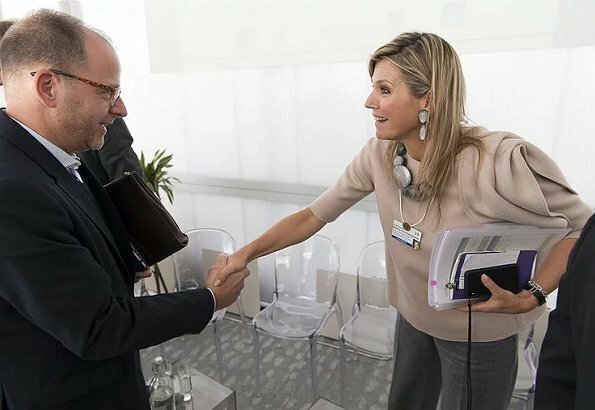 Queen Maxima also attended meting of the CEO Partnership for Inclusion. 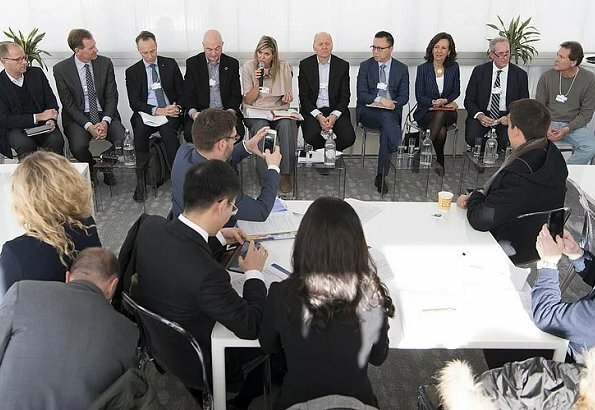 This informal partnership brings together 10 international businesses from various sectors. The meeting followed by an open panel discussion on private partnerships for financial inclusion. 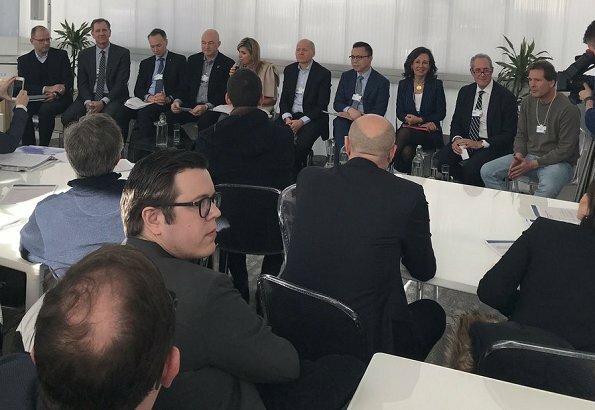 The Queen hosted this event, together with the CEO Partnership. On the morning of 24 January the Queen attended the meeting of the Financial and Monetary Systems Stewardship Board. Je lacht je dood; je schaamt je dood. 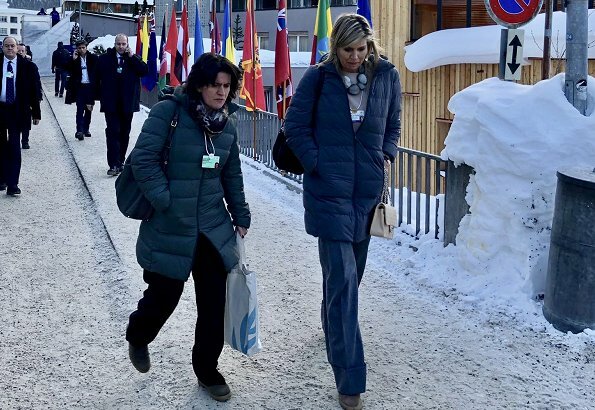 Mevrouw Máxima met korte mouw in januari in Zwitserland. 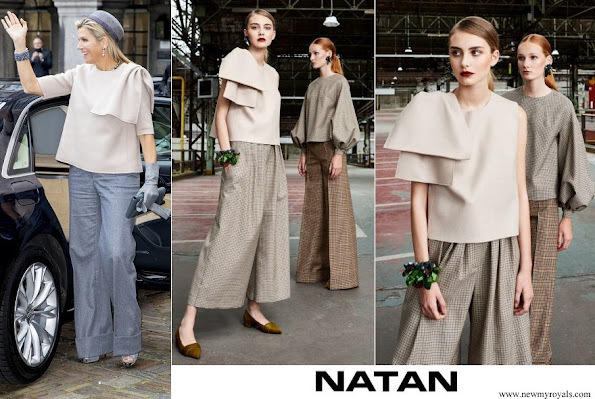 Los bajos del pantalon gris, son fatales, fatales.Eso no es elegancia! Can't get past that necklace, I am speechless!! The grey pants Maxima is wearing would look awful on anyone. Prince William looks very young in this picture. Terrible outfit, and again couldn't find a hairbrush! She disappoints. Again. I like Maxima's top. 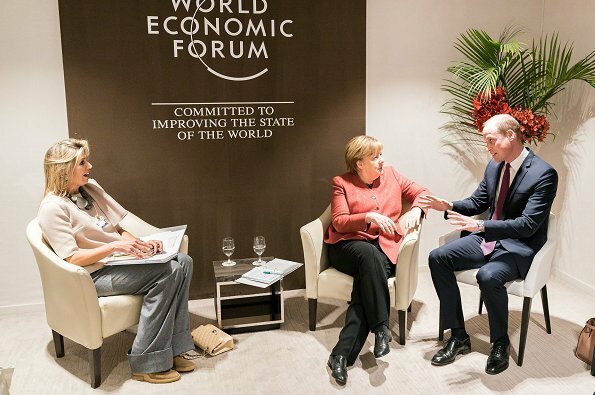 Had a laugh about her shoes, where she is chatting with Mrs. Merkel. - Mrs. Merkel is a style icon. I don´t mind her outfit, but her hair is a disgrace for a queen. Meeting rooms are usually overheated, Don't worry. I Don't like her trousers at all.